There’s a brand new Scottish Gin on the market and it has more than a touch of mystery and magic about it! Retailer Lidl have joined with The Glasgow Distillery, producers of Makar Glasgow Gin, amongst others, to launch a new brand of gin that takes inspiration from Scotland’s national animal, the ever-popular unicorn. 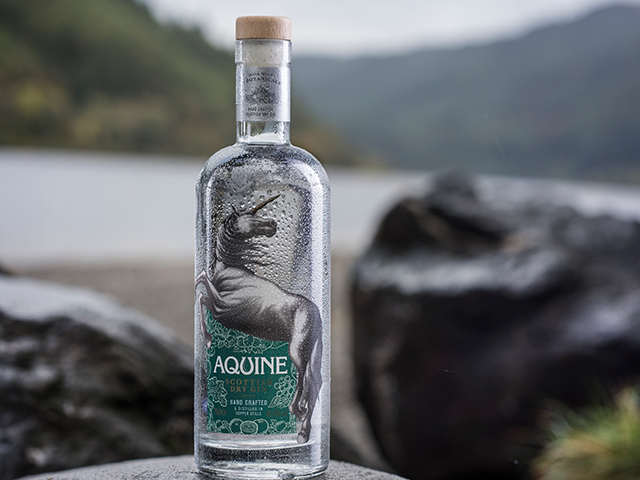 The gin is called Aquine (Aqua and Equine) and it is Lidl’s first craft Scottish Gin, available now exclusively in Lidl stores in Scotland and costs just £19.99. The Glasgow Distillery team have been working with the supermarket for the past few months to perfect the unique taste of Aquine and they say they are proud to bring the essence of the Scottish landscape to customers across the whole country. The gin will also be showcased as part of Lidl’s November’s British Gin Festival, meaning customers from all over the UK will have an opportunity to try it. Mike Hayward, co-founder of The Glasgow Distillery added: “We are delighted to be collaborating with Lidl to create this bespoke handcrafted gin for them. We probably won’t be the only ones rushing to Lidl this week to get the first taste of Aquine – the perfect serve is said to be with ice, tonic and a slice of orange. We’re definitely looking forward to a magical taste – we’ll let you know.